OMEGA’s PX2300 Series high-output, low differential pressure transducers are compatible with most media, from dry air to corrosive liquids. All wetted parts are either stainless steel or elastomer seals. The electronics are housed in a NEMA 4 (IP65) enclosure. A high working pressure and high overpressure ratings ensure dependability in harsh industrial environments. 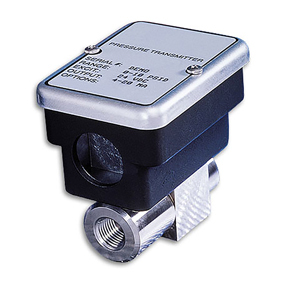 These transducers are ideal for measuring pressure drop across filters and other process devices. The zero will shift slightly when high differential pressure is applied. The shift may be as much as ±10% FS with overpressure applied to the low port. (Other parameters will not shift.) The shift may be recovered by a positive overpressure or if the overpressure is always in one direction, the user may apply this pressure to pre-set the sensor. Subsequent overloads of less pressure will not cause any further shift. Note: All models come with complete operator’s manual.